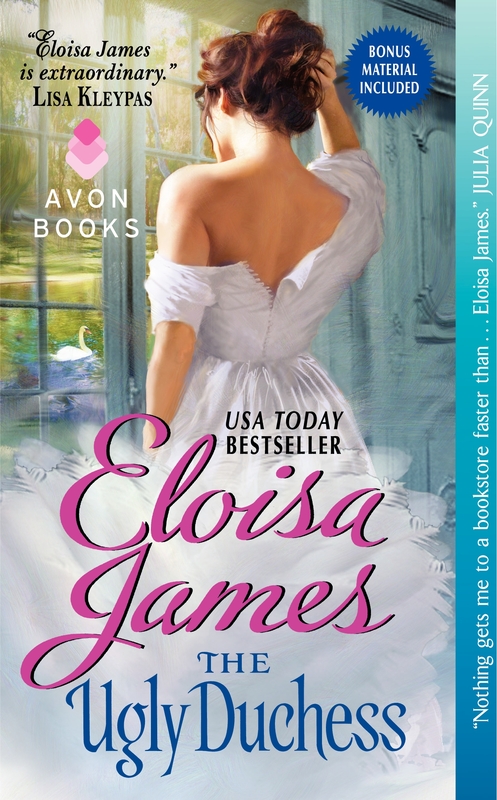 Tuesday’s Revolving Book is the historical romance THE UGLY DUCHESS by New York Times best selling author ELOISA JAMES. I’ve never been to the National Book Fair—and I can’t wait! I gather the book fair takes place under a series of big tents on the Mall in Washington. I’m giving a talk, so please come along and find my tent. This is a fun celebration of romance and reading, held in a small hotel outside Dallas. Come hang out with me for the weekend! Tickets are available here <http://readers-n-ritas.org/blog/> .